Ram Charan’s Dhruva, the remake of Tamil super hit Thani Oruvan has rolled its cameras from yesterday, and we hear that Ram Charan has already signed up his next film. 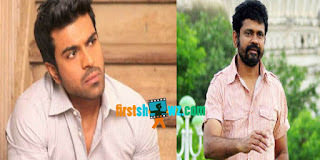 If the latest reports are to go by, Creative director Sukumar will don the director cap for Ram Charan’s next film, and it will be made under Mytrhi Movie Makers production. After Srimanthudu and Janatha Garage, producers Naveen Yerneni, Mohan (CVM), and Y Ravi Shankar are keen on signing up Ram Charan for their next film. Sukumar is currently busy penning the script and the shoot will commence after Ram Charan wraps Dhruva.